When it comes to your child’s vision, at A to Z Eye Care in Arcata, we strongly believe that it’s best to start early with your child’s eye exams. Eye exams for your child are critical to keep your child’s eyes healthy and to make sure they don’t already have signs of vision problems that could lead to interruptions in the classroom and your child’s safety. If your child does have signs of vision problems, A to Z Eye Care will be able to diagnose your child earlier and get them started on the right eye treatment. Whether your child is about to start elementary school or is just 6 months old, our dedicated team will ensure your visit is perfect and comfortable so that we can complete a full successful eye examination. The American Optometric Association suggest that your child should have their first comprehensive eye examination at 6 months of age. Our optometrists Dr. Marcus Appy and Dr. Samuel Johnson are used to performing eye examinations on small children from their many years of experience. Your child should then have another eye exam at 3 years of age, and then again before they enter the first grade – around 5 or 6 years of age. After your child has reached school age, the American Optometric Association says your child should come in for an eye exam every 2 years if no vision correction is necessary. If your child is receiving vision correction such as eyeglasses or contact lenses, they should receive an eye exam every year. Lazy Eye (amblyopia) – A lazy eye causes a decrease in vision in one eye or both eyes. If your child is diagnosed with a lazy eye it may be correctable with eyeglasses or contact lenses, or your child may have to wear an eyepatch on the stronger eye to build up the lazy eyes strength. Misalignment of Eye (strabismus) – Misalignment of the eye can lead to the development of a lazy eye. Strabismus most commonly causes a problem with muscle control in the affected eye. Convergence insufficiency – This eye problem is the inability to maintain alignment of both eyes for correct focus as distant objects move closer. Focusing ability, depth perception, and vision color issues – Our eye doctors will be able to test for each of these issues in your child’s eye and then if found, treat it properly. Eye and eyelid health – Our eye detects will check your child’s overall eye appearance and eyelids, looking for any infected eyelash follicles, cloudiness of the eye and other irregularities. Bring Your Child To Your Arcata Optometrist! When it comes to your child’s vision, why wait to for the best possible care? Visit A to Z Eye Care in Arcata and near the Eureka area for quality vision care through education, technology, and excellent service. 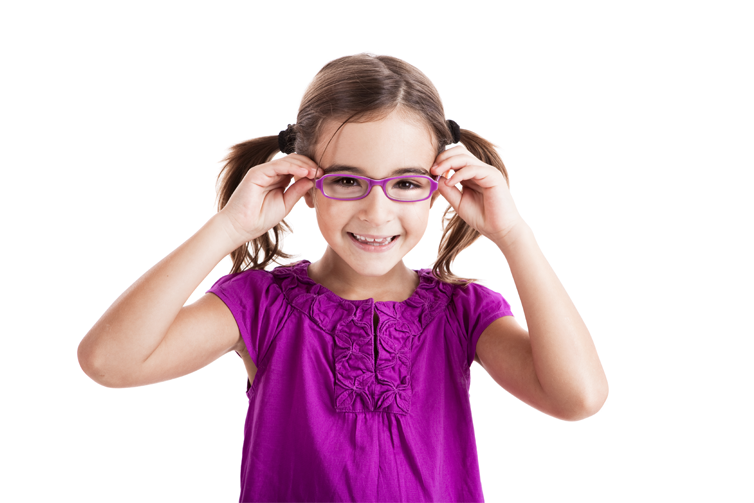 Remember, it’s best to get started early on eye examinations for your child. You can contact A to Z Eye Care by calling (707) 822-7641 or by filling out our online contact form. We can’t wait to hear from you and start providing your vision care needs!